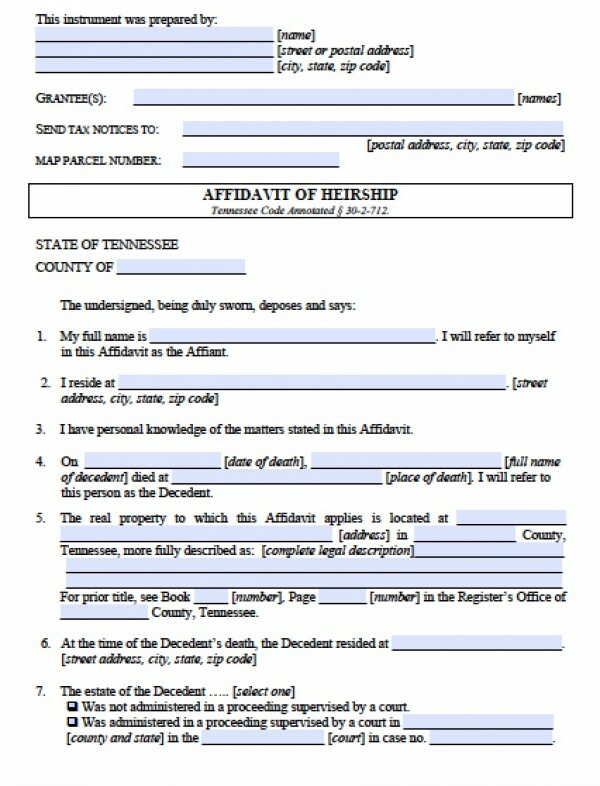 In Tennessee, a general affidavit of heirship does not include vehicle titles. 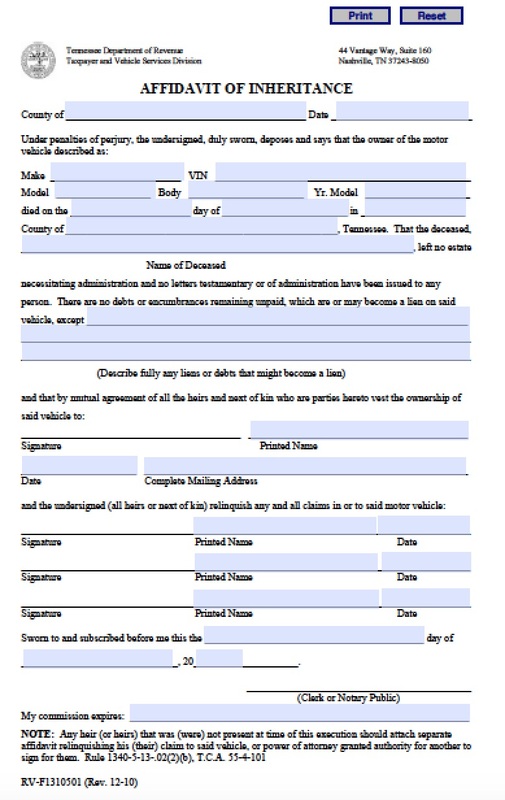 However, this affidavit does include bank accounts, tangible property, and debts owed the decedent like final paychecks. 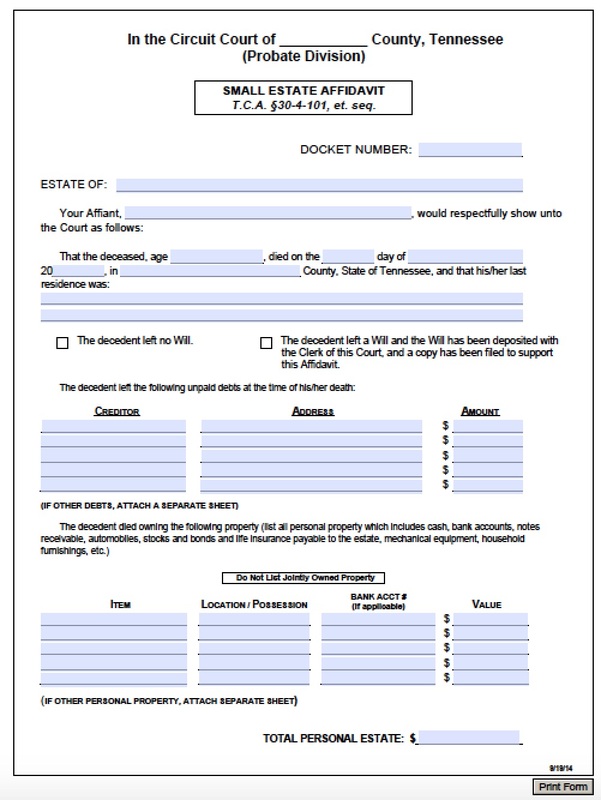 Successors may wait 45 days before filing the affidavit of heirship in Tennessee, and must decide on a voluntary administrator, called an “affiant,” to protect, index, and distribute the property appropriately. In addition, creditors with evidence of the decedent’s debts may file an affidavit of heirship to collect on the debts. Per Tenn. Code Ann. §§ 30-4-102 and following, the value of the estate may not exceed $25,000.